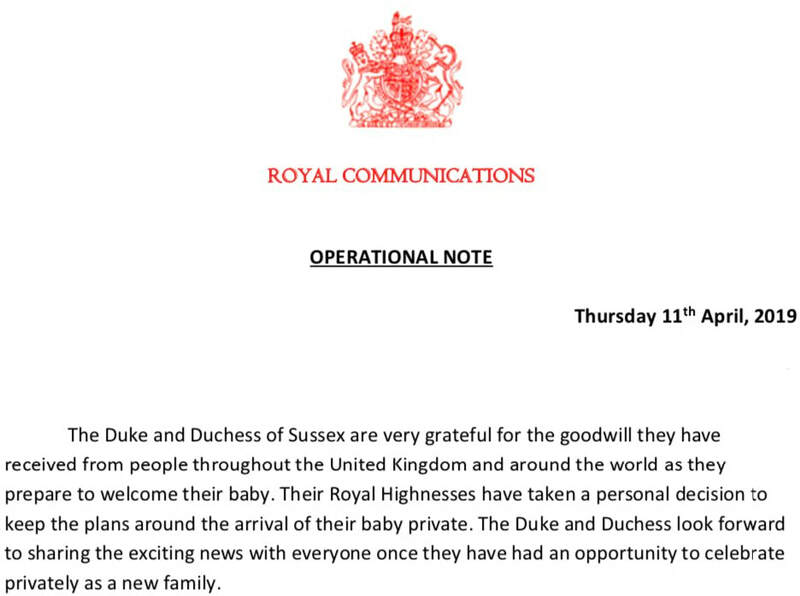 On Thursday 11th April 2019, Buckingham Palace released a statement ahead of the arrival of Baby Sussex. The Duke & Duchess of Sussex are keeping the plans around the arrival of their baby private. The royal couple will share the exciting news with everyone once they have had a chance to celebrate privately as a family. On Monday 15th October 2018, Kensington Palace announced that the Duke and Duchess of Sussex are expecting their first child due in the Spring of 2019.